All of us start our day or month vowing that we will get the works done within the stipulated time frame. But the reality is that we procrastinate things forever, though we might know that it could move us really forward, we just can't seem to get it done. Some of the common reasons people say for this is the 'working faster/better under pressure', 'being too busy', or 'not knowing where to start'. But none of these reasons are the truth. According to author Nick Ortner, procrastination is about unresolved emotions. 'These emotions are rooted in fear, and are most commonly identified among my clients with descriptors such as anxiety, fear of failure, feeling overwhelmed, or perfectionism,' he says. 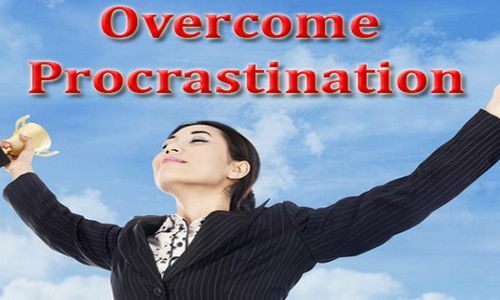 Often people who procrastinate are extremely capable and intelligent but are being derailed and held back by this habit, which can also be a sneaky form of self-sabotage. Sometimes people read articles about being productive. However those strategies don't work because it was emotions causing the actions. Addressing the emotions is what will allow to move through procrastination and become amazingly productive. Most of us are not conscious of all of this going on, and we often think there’s something bad or wrong with us. The truth is, our subconscious minds, which control our emotions, are fully 90 per cent of our brains?—?our rational, analytical minds are only 10 per cent. It’s time to let the 'I’m a bad person' judgment and shame go. Procrastination is just your brain’s way of trying to keep you safe, because to your brain, safe is same. Once you become consciously aware of what’s really going on underneath the surface, you can thank it, decide if it’s worth allowing it to continue to control you, and ask for some accountability or support to start small on that task. Is the burnout culture coming to an end?